Ian Cole from Two Bearded Men on Vimeo. 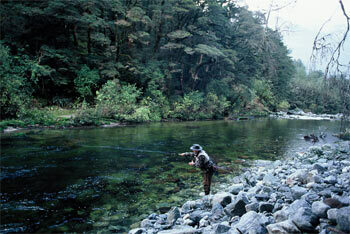 New Zealand's premier guided fly fishing service. Your guide Ian Cole welcomes you to this site. Ian is the principal fly fishing guide and FFF instructor at Wanaka Fly Fishing, A Fly-Fisher’s Guide and Wanaka Fly Fishing Academy. He would represent the most experienced and best-qualified guide serving the Wanaka region. His vast experience, local knowledge and expert honed eyesight are all tuned to maximise your angling experience and overall success. Wanaka Fly Fishing is only 45 minutes' drive from Queenstown, and we have it all here: stunning mountain scenery, the sunshine, the Vivaldi four- season weather. And we have superb trout waters: several lakes, numerous rivers and streams. We also have an ALL-YEAR FISHING SEASON. 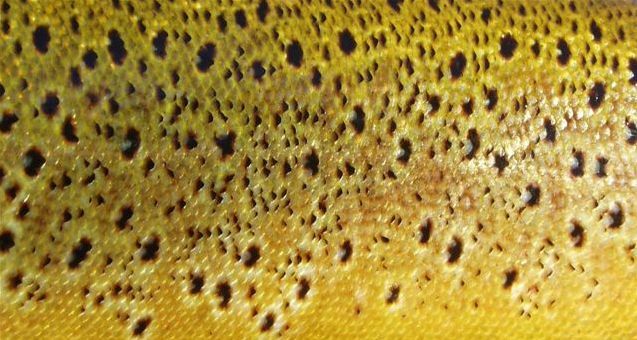 In the Southern Lakes District - around Wanaka, Hawea, Queenstown, Cromwell and Te Anau, there is always somewhere you can go fly fishing for trout. 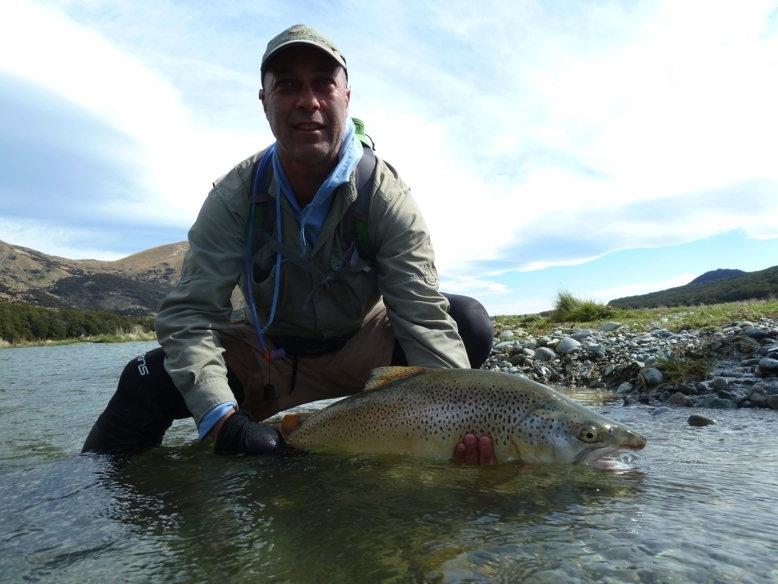 Wanaka Fly Fishing provides courtesy 4wd transport, quality lunches, all custom-tied flies, photos and can provide all top quality equipment if required. We can arrange all your accommodation needs as well if you so choose. 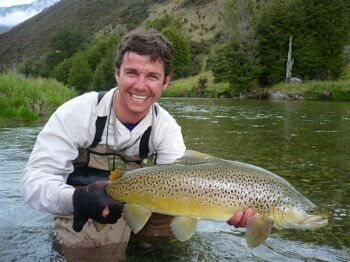 Wanaka Fly Fishing caters for the never-evers and experts alike, with custom-made guided fishing adventures, flyfishing tuition or wilderness fishing safaris. 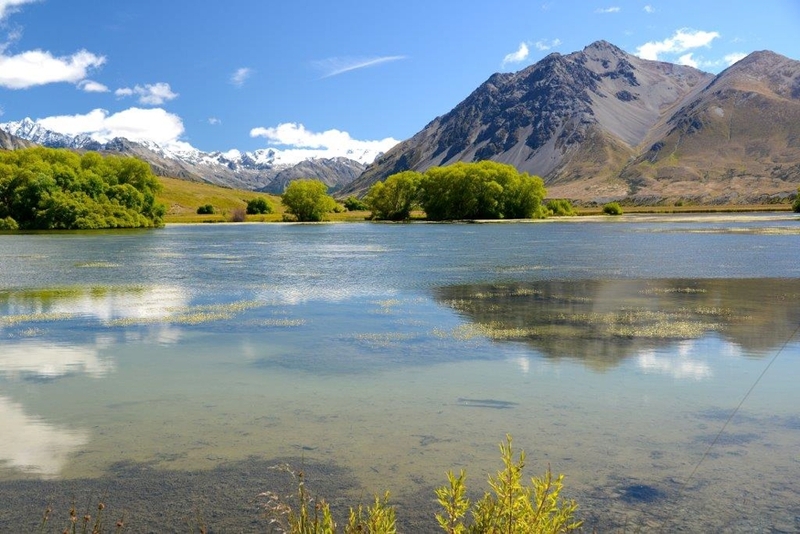 Within 15-90 minutes drive from Wanaka, lakes, rivers and numerous streams are home to brown and rainbow trout as well as salmon. Fishing Wanaka and the south of the South Island can be action packed all year round but Spring (Oct-Nov) is generally the best in the Wanaka area. Other regions serviced afford better fishing in high summer and autumn. Half, full or multi-day adventures and a choice of several lakes, rivers and many mountain streams makes fly fishing around Wanaka a truly amazing New Zealand experience. But with clear mountain water and perfect visibility, these healthy Wanaka fish can afford to be discerning. Your fly-fishing guides are pasionate experts, the best fishing buddies you can find for the most challenging conditions. Guided fly-fishing adventures are not limited to Wanaka, we fish anywhere in the bottom half of New Zealand's South Island: Southern Lakes, Clutha River, Queenstown, West Coast, Fiordland, Southland, Catlins and the Mackenzie Basin. Access is by 4x4, helicopter or by hiking, with overnight stay-overs and a possibility of camp-out trips into the more remote areas. We specialise in custom-made fly fishing itineraries. For novices and improvers we offer personalised INTRODUCTION TO FLY FISHING and IMPROVE YOUR FLY FISHING seminars. Ideally 3 to 5 days in duration, these programs provide a comprehensive overview of all major fly-fishing techniques. From dry fly to winter Tongariro-style fishing, this "fly fishing school" will help you become a fully-hackled angler. You will learn in an informal and relaxed atmosphere, in Nature's fantastic classroom - the lakes and rivers of the Wanaka region.